Every time goods or services are bought and sold, an invoice is created. This is the first step in the payment process and happens more frequently than you might think. According to Upwork, over 57.3M people freelanced in 2017 and the majority of workers are likely to freelance by 2027. Now, imagine each of those freelancers sending out invoices for each project or task completed. And since we live in a digital age, creating and sending invoices is easier than ever. We have electronic payment systems, card payments, and electronic transfers – all of which are automated and almost instantaneous. And while some companies still send out paper invoices and do manual bookkeeping, that number is slowly going down. Because, the fact of the matter is, doing that digitally is just more convenient nine times out of ten. Electronic invoices eliminate the chance of making typos or minor mistakes. By automating this, and many other parts of the payment process – both the sender and the receiver benefit greatly. For one, this saves a lot of time and money in the long run. In addition, e-invoicing is already faster by default. Paper invoices can no longer compete with that and it’s only a matter of time until electronic invoices take over as the industry standard. At this point, that should be obvious, right? That number is increasing yearly. But what other implications and trends does that raise for e-invoicing? Automation is an essential part of any business that wants to get ahead. Everyday more and more businesses choose to automate some of their functions as a way to save time and money. Automation also increases overall business efficiency, productivity, and more. There are many tools and even more parts of your business that you can automate. And whether you’re a small or a large business, it’s important to save time where you can. The same applies to invoicing. Automation is the future when it comes to electronic invoicing. And not just for invoices. Automation can help business in many other aspects. E-invoicing and automation go hand in hand. The benefits are endless and listing them all would take forever. So, let’s look at it from a business point of view. In 2017, 51% of organizations rated cost savings as one of the top benefits from electronic payments. This is what it boils down to at the end of the day: time is money. And there is no better way to save time (and money) than through automation. In a nutshell, the more automated and efficient a business process is – the bigger the returns for the business. Automation simplifies the whole process for everyone involved and requires fewer resources as well. With faster payments, businesses can save precious time and resources that are lost through manually chasing late payments, calls, and more. In a recent survey, 42% of organizations interviewed stated that they were experiencing delays in receiving invoices and had difficulties in matching information. Other issues included high processing costs, delays, and slow process time. These, along with many other issues, are all fields that automated electronic invoices can solve within our lifetime. With all that said, once more countries and businesses start transitioning into electronic invoices – we should expect more regulations in return. Similarly as to how the General Data Protection Regulation affected email marketing, electronic invoices might go through a similar change. As mentioned above, electronic invoices are becoming more and more frequent. Soon enough, they will become the standard for the B2G (business-to-government) and B2B (business-to-business) sectors. And a major trend driver for e-invoicing in 2019 will be the new European standard on e-invoicing. It’s always a good idea to double check you’re not breaking any regulation or law. To reduce complexity and legal uncertainty, public sector entities in Europe need to be able to receive e-invoices in accordance with the new European standard. More specifically, the standard focuses on the invoice content and specifies certain core elements of an electronic invoice. For some countries (like Finland, Norway, Denmark, and more), companies doing business with the public sector is nothing new. For others, meanwhile, there is an increasing pressure to make the shift to electronic invoices. Switching from paper-based processes to electronic and automated invoices can make the world of a difference. For Germany, for example, this new system of invoicing can cut the costs from up to 30-50 euro to one euro. Electronic invoices save time and money alike. But the digitalization of invoices is not just about the tech. For the different initiatives in Europe in different countries – there are just as many new regulations to take into account. To make the most out of the change, businesses might have to rethink their whole invoicing process – both inside and outside their organizations. And the regulations will be different in each country, of course. But some of the questions worth considering include: will e-invoicing become mandatory in the B2G market? Will businesses in the B2B sector have to report and validate all of their invoices to their tax authorities? And so on. With that said, despite the regulations, there is no denying the fact that one day, electronic invoices will be accepted globally. Electronic invoices reduce 60-80% of coss compared to paper invoicing. There are many incentives surrounding electronic invoices. Regardless of the sector, whether it be B2G or B2B, e-invoices provide unmatched benefits. And the market trend for constant efficiency and productivity also reinforce this change. While the European Standard is likely to increase the influence of electronic invoices in the B2B sector, the United States is also likely to hop on this trend. In North America specifically, the federal government is leaning towards e-invoicing as a way to improve the overall payment efficiency in the market. It seems that electronic invoicing in the states is going to be based on an already existing system. The model on which they’re planning to base the new system on is going to be a single, standardized connection to the network, in order to exchange electronic invoices and other electronic documents. As far as the globalization of electronic invoices goes, it’s crucial to settle on a commonly agreed e-invoicing structure. Within the single market, the process would become more straightforward and easier for all organizations to be on the same page. Though once you broaden the perspective, the challenges become clearer. Dealing with electronic invoices on a global scale has its own challenges. So, this might take some time to stabilize. Especially when we take into consideration the scope of the system – dealing with electronic invoices from one continent to another. Ideally, the efficiency of e-invoices should not come with the additional expense of efficiency. While the pros are obvious, the cons might include unforeseeable costs. So, companies looking to implement e-invoicing and additional features (like real-time tax reporting), should look for best practices to adopt them from. Currently, each country has its own slightly different approach. But as long as everyone realizes how efficient dealing with electronic invoices can be, it’ll only be a matter of time until we see other business sectors adapting them. All in all, it is safe to say we take electronic invoices for granted. Despite all of their pros, businesses as of now are still sticking to paper invoices. While e-invoices can eliminate a lot of costs and unnecessary expenses associated with paper, they still have some time to go until everyone else incorporates them in their operations. Opting for electronic invoices instead of paper methods allow companies to address payment issues instantly and improve workforce productivity as well. By tracking invoices, companies will also be able to automate some parts of their business and focus on more important things. 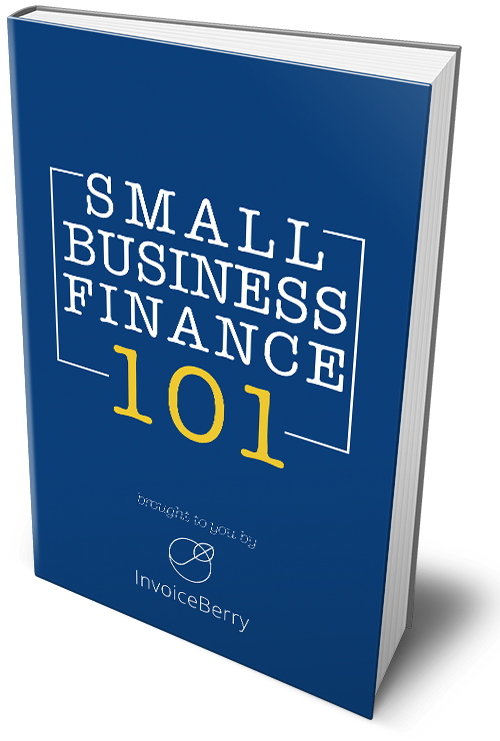 And though there are some regulations different countries have to come to terms with, the pros of e-invoices far outweigh the cons. And finally, when that happens, we’re likely to see an increase in electronic invoices, regardless of the business sector, and eventually – watch them become the global business standard. The 5 Most Common Types Of Invoices You Should Know As A Freelancer.